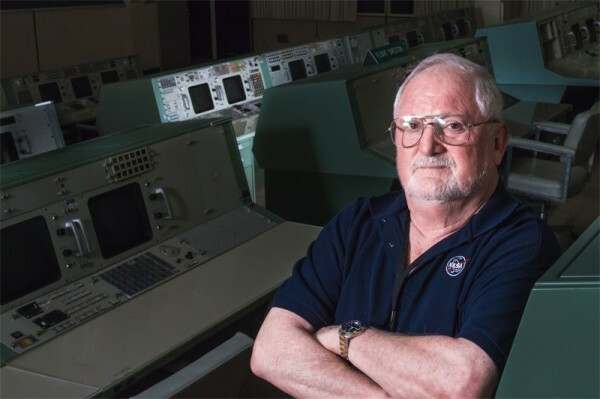 Seymour “Sy” Liebergot, born 1936, worked during the Apollo program as EECOM (EECOM (Electrical, Environmental and COMmunication systems). He was part of the team, that brought Apollo 13 safely back to Earth. OeWF: Technology advances let aside, what are the major differences between your generation of flight controllers, and -say- todays ISS flight controllers in terms of mentality or working attitude? We were encouraged to speak our mind The Apollo flight controller was part of the continuing evolution of the tradition begun by Chris Kraft during the Mercury and Gemini programs. The typical flight controller was young (at 33, I was among the oldest during Apollo 11), male (during Apollo, there were no female flight controllers), assertive to aggressive, certainly arrogant, and willing to make decisions under pressure; this last attribute was mandatory. Unfortunately for some of us, the aggressive attitude that we adopted and wielded at work would last a lifetime. IMO, within NASA, since Apollo and during Shuttle, career ladders became more important than speaking out when there was any suspicion of something amiss. ISS FCs have a different task. The timeframe is not as urgent, but the operatic is still PC. OeWF: Sometimes it seems, that today’s space exploration programs are seemingly stalling and people tend to reflect upon the «glorious days» back during Apollo, envisioning a period of almost unlimited resources and a population which was super-supportive of the space program in the late 60s. Was that really the reality compared to today’s space business, or it is just romantic perception of the Apollo period? The reality of the of the 1960s was to beat the Russians to the Moon. i.e. politics and military prowess. Today, there is no Russia to beat; in fact we don’t care about beating any country in anything. So now, it’s all about politics and funding. OeWF: Imagine you are back in the Apollo flight control room. 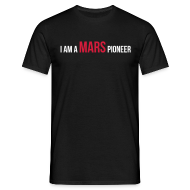 If someone would have asked you about when the first human mission to Mars would be realistically possible, or when the first lunar base would be reality – what would have been your answer back then? I would have impatiently remarked that a Mars mission was science fiction and it was premature to consider a Moon base and for what? We were preoccupied with achieving lunar landings. OeWF: In your view – what is the thing our current space exploration programs need most (well, except funding): are we lacking the technology? Is our society loosing curiosity? Have we forgotten how to take risks? The public will never be excited about unmanned (robotic) space missions and a mission less space station (ISS). A manned Mars mission should be planned and sold as a long-term program—a 30 year program with a 3 year round trip manned mission. The current ISS has wasted resources that could have been applied toward such a program. OeWF: Is there anything you’d like to pass on to our men? I have no doubt that the training and dedication of the individuals and companies involved will again demonstrate how strong the human spirit of exploration is still. It has been said that great nations discover and explore. Great nations cross oceans, settle frontiers and continually renew their heritage and spirits and create greater freedom and opportunity for the world. Great nations must also remain on the front edge of technologically advanced programs to maintain their security edge. This is the vision of a statesman, but currently we are infected with politicians who are concerned only with being re-elected and maintaining power. Distance makes all the difference!